Home Business Ideas Starting A Business Cosmetic Surgery Is a Booming Sector: Should You Open Your Own Clinic? Cosmetic Surgery Is a Booming Sector: Should You Open Your Own Clinic? Cosmetic surgery has long been the beauty secret of the rich and famous. However, an increase in availability means that people from all walks of life are choosing to undergo a cosmetic procedure. Aspects of online promotion, like social media, comparison websites and online reviews can make or break a business. Remember, it can take years of experience to build a reputation and that negative reviewers are often more vocal than those who are happy with their treatments. The significant rise in cosmetic procedure is mainly due to the availability of minimally invasive procedures, rather than just cosmetic surgeries. For example, cosmetic surgeries such as tummy tucks, liposuction and nose reshaping are all more invasive and down in numbers in recent years. On balance, soft-tissue dermal fillers and Botox (or Botulinum toxin Type A) injections have risen 274% and 759% respectively since the year 2000. 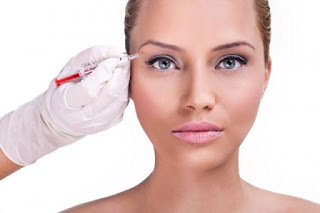 Cosmetic procedures such as dermal fillers and Botox injections are popular because they are low-risk, relatively affordable, simple to carry out and the effects can be particularly impressive. Naturally, the number of clinics has increased as has potential profits—the global cosmetic procedure sector is worth over $20 billion and is set to rise to over $27 billion by 2019. The rise in popularity that has seen the cosmetic surgery sector boom has also brought increased competition. It’s important to offer something that will stand the test of time. According to The American Society of Plastic Surgeons, the popularity of cosmetic surgery fluctuates depending on economic outlook. The study also found that trends in minimally invasive procedures reflect microeconomic indicators. Revenues from minimally invasive procedures, such as dermal fillers, rise depending on disposable income per capita. There was a 200% increase in service revenues generated by minimally invasive cosmetic procedures such as Botulinum toxin and dermal fillers. The market share of the cosmetic sector for service revenues from these procedures increased from 30% in 2000 to about 50% in the past two years. Cosmetic surgery is now more accessible than ever before, and like all booming industries, there are plenty of attractive business opportunities out there. However it is important to remember that your priority must be the patients, not profit. That’s what really separates the trusted and reputable clinics from the cowboys. If you’re going to enter the market, strive for excellence to get ahead and don’t skimp on the quality of patient care.